Telesat, the world’s fourth largest fixed satellite services operator, has announced that Harris Corporation, a provider of VSAT systems and managed satellite services for domestic and international customers, has signed a multi-year agreement for Atlantic Ocean Region capacity on Telesat’s new Telstar 11N satellite. Harris Maritime Communications Services (MCS) selected Telstar 11N to launch its next generation maritime broadband services. The company’s customers will have the latest in high speed IP communications — voice, Internet access and corporate data — while on the high seas. 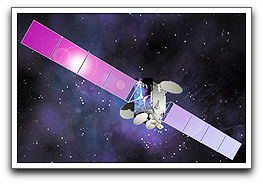 Harris MCS is landing the Telstar 11N service at their Primary Teleport in Melbourne, Florida using a networking platform provided by iDirect™.